Home > Deals > Buy One, Get One > Foam Yoga Block 4" X 6" X 9"
Standard Large Size: 4" x 6" x 9"
The 4 inch Foam Yoga Block is our top-selling yoga block, popular among yoga studios, gyms, or individual yogis & yoginis! 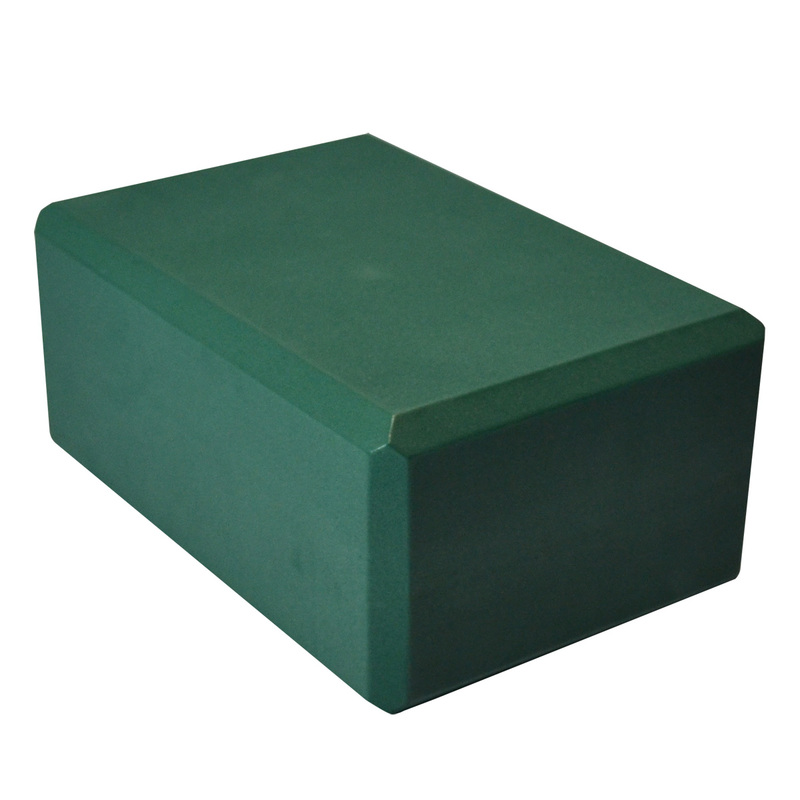 These foam blocks are made of high quality and super dense foam. They're built to not only last, but cushion you during your favorite hip openers, bridges, and more! 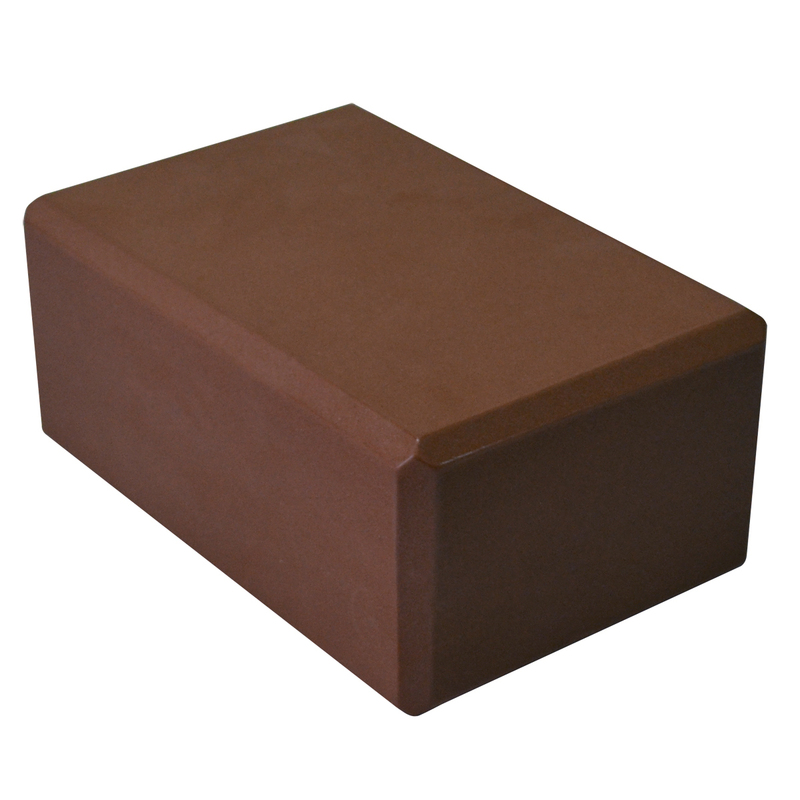 An essential yoga prop, the yoga block is a necessary tool for finding proper balance and alignment in many common yoga poses. Choose from one of ten color options to match your unique decor or select a variety to give your students options. 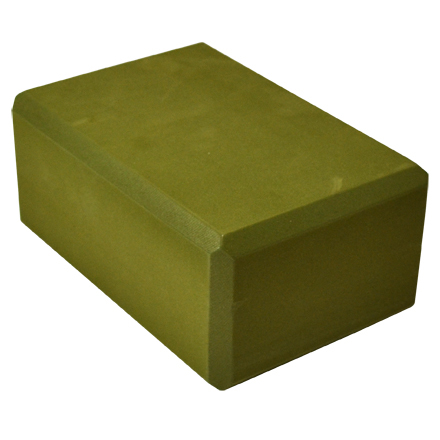 Our yoga blocks are made from sturdy yet soft scratch-resistant foam. Beveled edges provide a smooth, contour grip. Yoga blocks from Yoga Direct are lightweight and available in custom printing. Plus, they are individually wrapped so you can buy in bulk and easily resell these in a yoga boutique or gift shop! Here's a tip: If you're buying different yoga block sizes, be sure to match colors to sizes. Getting a few 4" blocks- Go for Purple. Purchasing some 3 inchers? Get them in blue. That way you know exactly what you want, even from across the room! 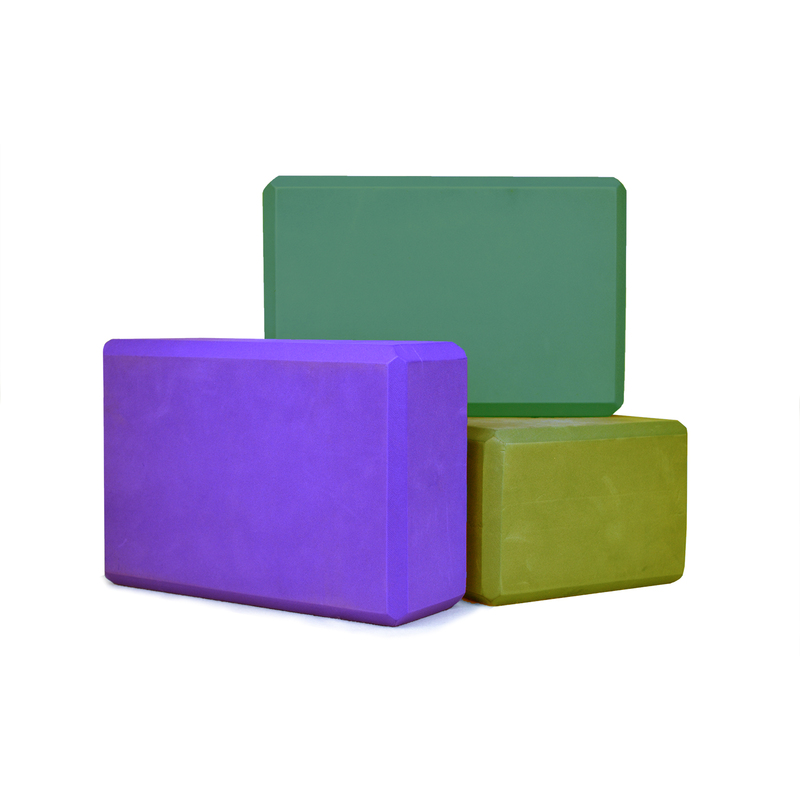 Our Foam Yoga Blocks are made from a sturdy, scratch-resistant foam and are lightweight and easy to use - a perfect block to provide in any yoga class. These blocks are strong enough to support any Yogi's full weight, and are comfortable enough for use under the head or used as a seat. Foam yoga blocks provide support and stability for proper alignment in class, allowing your clients to practice postures safely and effectively. The 4" x 6" x 9" is the standard size to supply for class, and is available to be custom printed with your company or studio's logo or design. 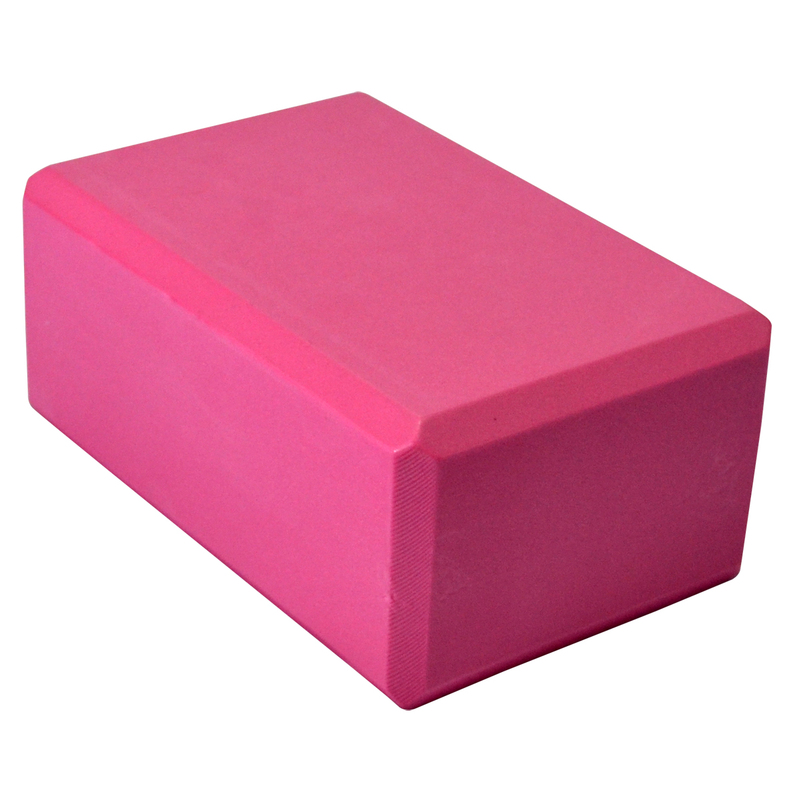 We guarantee these Foam Yoga Blocks will never get mushy, no matter how often they are used! Each Yoga Block comes individually wrapped, and can easily be resold in boutiques and Yoga Gift Shops. These blocks are exactly what I was looking for! Looking forward to many years of use. I have bought several pairs of these blocks and they are great. They hold up well and I love the colors. Good, sturdy block and the color choice great for hiding fingerprints. Perfect; great quality and color and price. Exactly what I needed.